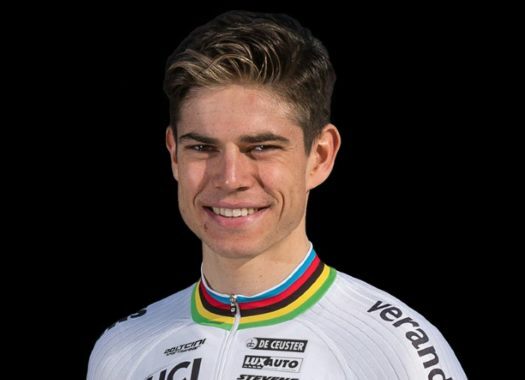 Wout van Aert (Veranda's Willems-Crelan and Belgium) has taken the third place at the European Championships road race in Glasgow. The rider was disappointed at the end of the race because he expected a better result. The cyclocross World Champion was part of the final sprint and crossed the finish line behind Matteo Trentin and Mathieu van der Poel. "I'm really disappointed," said the Belgian at the end of the race. "I really thought that I could win up to a few metres before the finish. I haven't get over it and that's why I'm disappointed. A medal is very nice but I still find this a disappointment. "We were not here with any of the fastest riders and that's why we had to tackle the race. None of the fast men has been in the final, so out tactics really worked out well." With 60 kilometres to go in the race, a group that included Trentin, van der Poel, Davide Cimolai and Xandro Meurisse took the lead but in the last 10 kilometres suffered from a crash that left a smaller group fighting for the victory. "Cimolai pulled the sprint for Trentin. I sat where I wanted to sit, at Mathieu's wheel, because I thought he was the fastest," explained van Aert. "Congratulations to Trentin, looking back he was the strongest man in the group. I had confidence in my sprint because at the end of a long and tough race it is not always the fastest that wins. "I felt that a sprint was the best option. Unfortunately, there was that fall on the final lap that caused me to lose Xandro. With him, we could have varied tactically." After the race, Van Aert returns to his other discipline, the cyclocross. "This was the goal for the summer," he commented. "After all, I need a goal to look forward to. But from Tuesday I jump back to the cross bike and I look forward to that too. That way this never gets boring for me."